People love to visit places which are beautiful and comes in affordable packages, and this is the reason why everyone plans to visit Thailand. Thailand has a great variety of tourist lifestyles. Thailand offers delicious and diverse food to the visitors and they experience changes in the cuisine with location. They keep their food options interesting as they venture from one city to the next. You can easily find everyone favorite Thai curry, with a wide selection of salads, noodles, and snacks. Land of Smile owns good people and good weather. Many experienced travelers name Thailand as the kindest countries while remembering the Thai people. The locals are kind, mannered and friendly to the tourists and this is why tourists report a wonderful sense of humor among locals of Thailand. 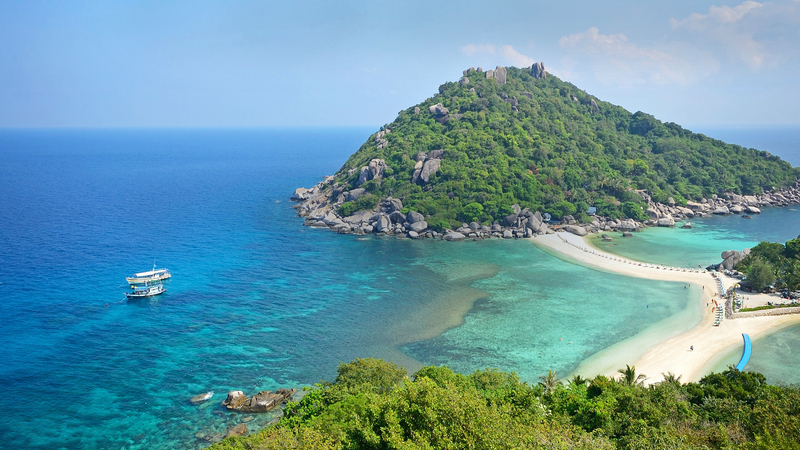 Thailand’s geography has the most impressive natural feature, beaches. With over 1,500 miles of coastline, there is a fair share of beaches that have sun soaking tourists. Some beaches like Freedom Beach in Phuket and Sunset Beach on the island of Koh Kradan has an incredible number of stretches of sand that remain quiet, and look so stunning in the evening. Thailand beaches are warm, and the clear water will make you swim. On the other side, it also has beaches for the party, that everyone can find the perfect fit. Thailand offers cheap accommodation and traveling. With different modes of transportation like Buses and trains, you can get budget-friendly airlines which are readily available with direct flights to international and domestic airports in cities across the country. Thailand cheap accommodation is one of the reasons why more and more people visit here in the winter as they can book a luxurious 5-star hotel in Thailand whereas in other countries they will able to afford the only 3-star hotel room. Over 40,000 Buddhist temples are found across Thailand, which attracts a lot of visitors. The structures date back to all of the different dynasties and reflecting that era’s architectural and construction style. Each province has the majestic wonders which influences everything from the architecture. Country’s major cities Chiang Mai and Bangkok have the lion’s share of breathtaking Buddhist temples. You will not find markets like those of Thailand in the world. The distinct character and big sale often attract crowds to purchase. Some markets are for street eats while others are full of antiques and secondhand items. Whatever be the items, visitors never know what they are going to find at these unique attractions. Thailand spirituality is not only present in thousands of temple complexes but also in the unique attitude towards life itself. Many cities in Thailand is modernized with things and pieces of Thailand’s interesting and ancient culture somehow intertwined. Sukhothai history is found in Thailand’s many art forms such as in traditional Thai dancing or Thai puppetry performances. Tourists love to stay in Thailand for more than a week as they unknowingly become very calm and tune with the special Thai way of life. Bangkok is considered a real city of contrasts. It has modern buildings which border with ancient majestic Buddhist temples and its incompatible styles have merged Bangkok into a colorful unity. Bangkok is a city full of surprises, with sky bars, museums, art galleries, parks. Thailand has three major seasons, which are suitable for vacationers to travel during and enjoy. Select the Thailand tour packages while considering the pros and cons of each season, so that you enjoy and explore the country.